So, this is where I tell you a little bit about myself and this blog. My name is David, and if you want to know more about my non Lego related activities, I advise you to check out these two blogs: David+World and Setouchi Explorer. Now, about this blog, Legos and I. Actually, when I was a kid, I had a few Lego but I was not a huge fan of them. I liked them, but my main issue was that whatever I built, it would “break” easily. I was not a violent kid, I was even pretty calm, but for some reason, Lego constructions were never resistant enough. That’s one of the reasons. The other one, I don’t know, I guess I just liked Playmobils better. Fast forward 20 years or so, and one day, in the early 2000’s I stumbled upon a Darth Vader minifigure. I loved the idea, bought it (I guess it’s the very first one, in the box with the Emperor – I think I’ve lost the Emperor since), I may have bought another small set. They quickly started to gather dust somewhere though. For some reason, I was blown away. I am an even bigger Lord of the Rings fan that I am a Star Wars fan, and the idea of Lord of the Rings Lego, and especially Shelob for some reason was simply amazing to me. Since that fateful day, I started to look at Legos in a different ways, and I started to buy more ans more. 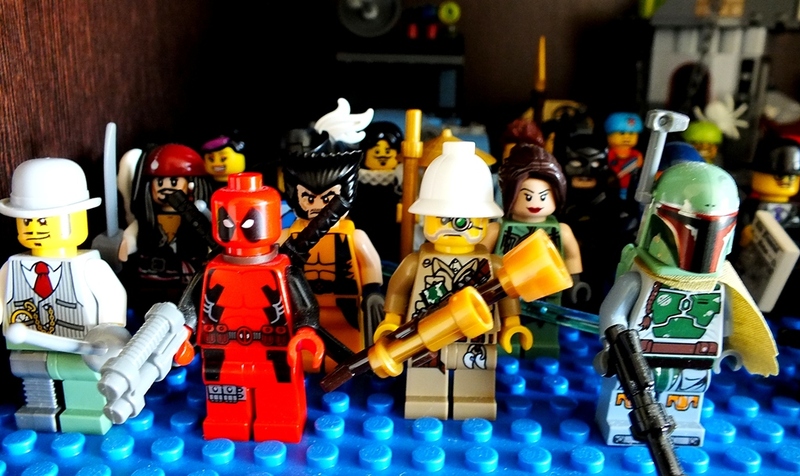 I’ve never been a collector, but those minifigures, how can anyone resist, right? The more I bought Lego, the more I thought about something. I’ve always wanted to write comic books, but I can’t draw at all. Why not use Lego minifigures instead of drawings then? I know, the idea is not very original, many other people do that online (actually I didn’t know then, but it didn’t surprise me when I found out). And this is how this blog was born. To post the comic strips I make as well as Lego pictures and other things related to those addictive little things. I hope you’ll like what you see here. Enjoy!